All #SPC14 sessions available in a single spreadsheet! Update: Wednesday, 8th January 2014. This post has seen an incredible amount of traffic which I have found to be a very rewarding experience- thank you! I’ve lived up to my word and managed to export the speaker information. 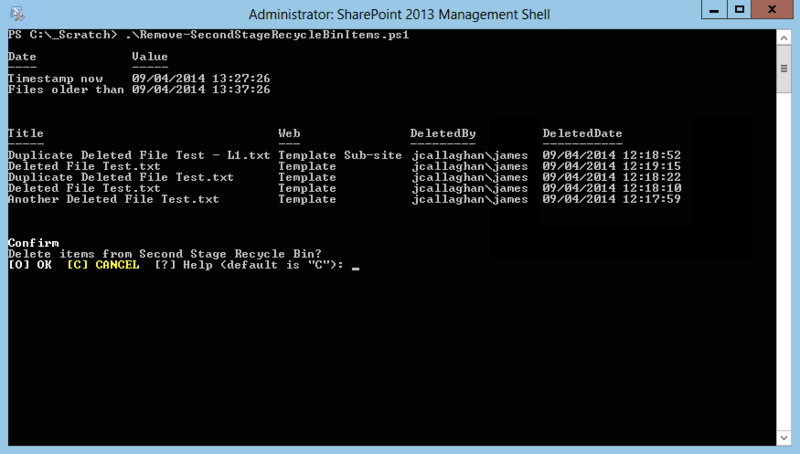 Both the spreadsheet and PowerShell script have been updated to include this information. 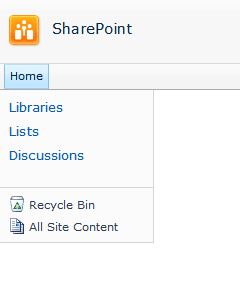 Something I have found frustrating with the SharePoint Conference 2014 website over the holidays is that you have to browse through the sessions as search results pages. It makes planning how I want to fill my days at the conference very difficult. I also wanted to sit down with my colleagues to see if there are any particular sessions that interest them. Without all the session being available in a format such as a spreadsheet this would become a very tiresome task. Jumping the gun the a little maybe as I have yet to register (this is top of my to-do list when I’m back in the office on Monday and I’ll kick myself if this is available when you register!) 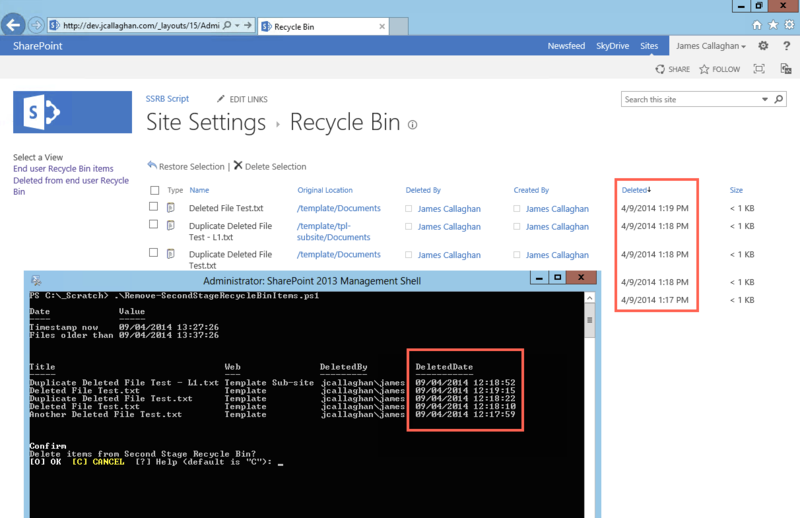 but I broke out PowerShell and wrote a script to download all the information for the sessions from the SharePoint Conference (#SPC14) website to a spreadsheet – both of which you can download. A spreadsheet of all the SPC14 sessions can be downloaded with this link and the script is available here. By no means is this script particularly complex or elegant – but I really wanted this information in a spreadsheet and pretty fast so forgive me if it is not up to my usual standard…the key thing is I achieved what I set out to do and can share it with you all. The last piece of information which I’m still trying to export are the speakers for the sessions – I’ll update if I manage it. 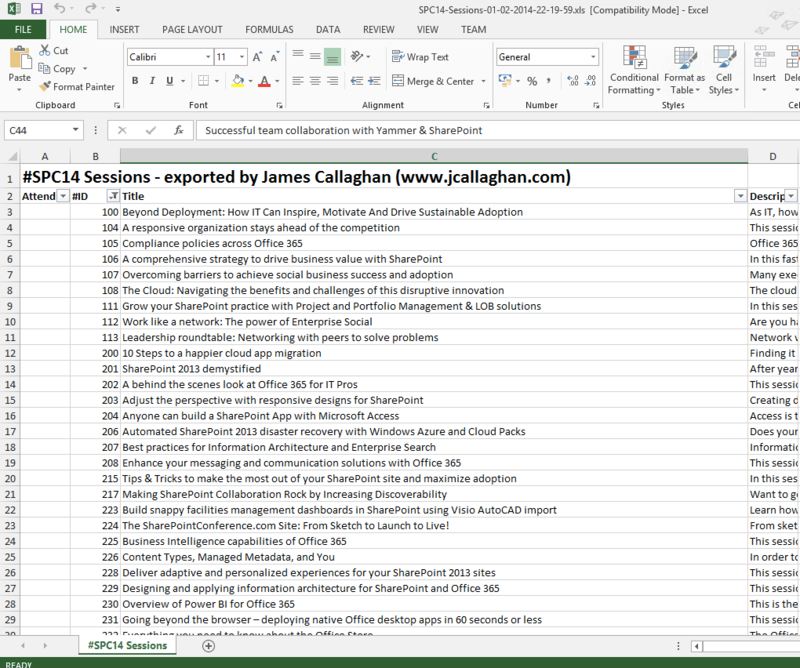 I hope you find the #SPC14 session spreadsheet helpful – see you at the conference! 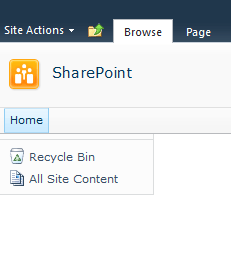 Posted on 03 January 2014 23 February 2014 Categories PowerShell, SharePointTags #SPC14, Script, SharePoint Conference 2014Leave a comment on All #SPC14 sessions available in a single spreadsheet! When I write PowerShell scripts I tend to want to step through sections, this allows me to decided whether to proceed with sections or not. I achieve this by using the ChoiceDescription class as demonstrated below. ## The following four lines only need to be declared once in your script. $title = "Title" $message = "Question?" 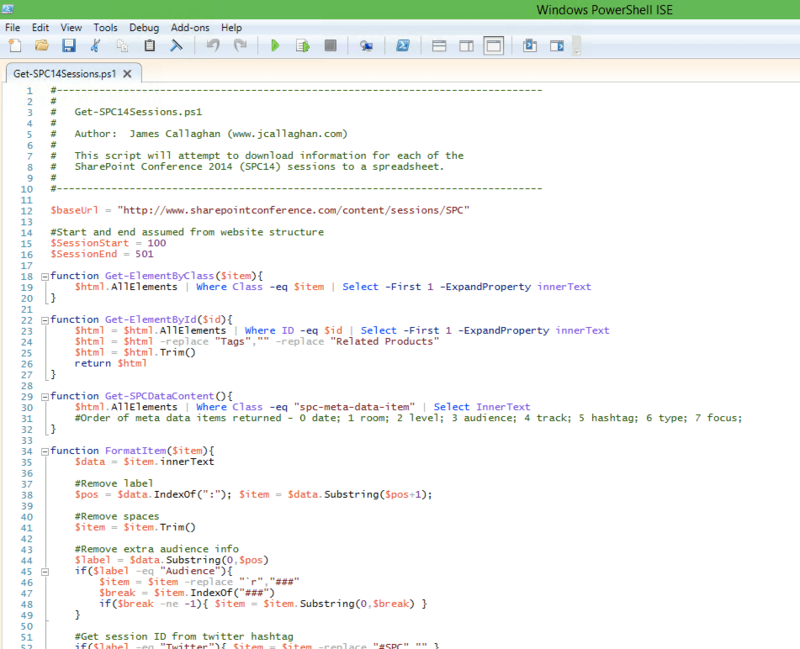 More information about using prompts in PowerShell can be found in the following article and tip on Microsoft TechNet.